View the entire table of contents for the June 15, 2007 issue. Tom Black has a spectacular 20,000-bottle wine cellar (with an additional 9,000 bottles on consignment to Alto, an upscale, Wine Spectator Best of Award of Excellence-winning Italian restaurant in New York), but you'll never hear him boasting about it. 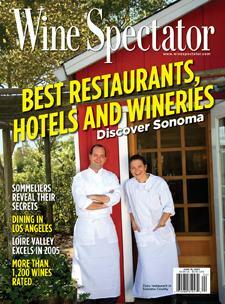 For the full article, check out the new issue of Wine Spectator, on newsstands May 17, 2007.